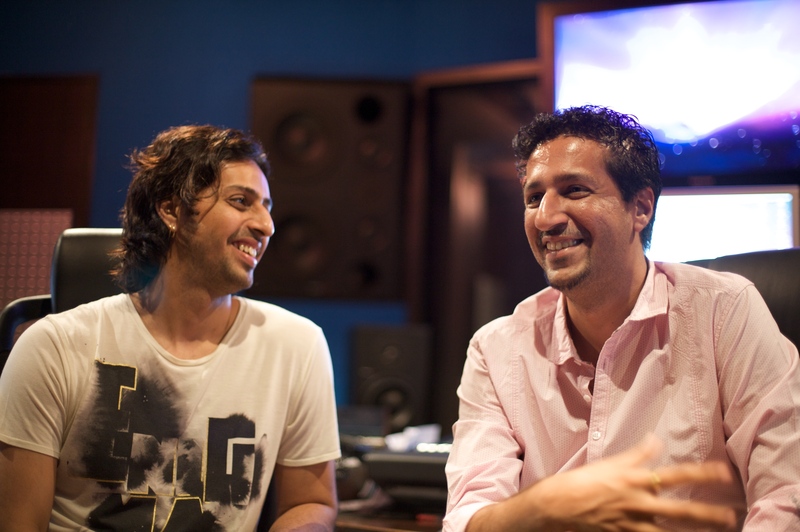 Salim and Sulaiman Merchant started their career composing “jingles” – short pieces for television advertisements. But a big break in 1997 led them to build a solid career in Bollywood, where they regularly compose songs and background music for high-profile films. As young boys, Salim and Sulaiman Merchant enjoyed watching their father, Sadruddin, sing and perform in public. A composer and 14-year veteran of the Telugu-language film industry in South India, Sadruddin Merchant moved to Mumbai in 1969 where he manufactured musical instruments. He also played the piano, saxophone, guitar and drums, recorded devotional albums, led the Darkhana Scouts orchestra and often performed during Jamati celebrations. Both brothers were students at St Peter's High School and KC College in Mumbai. But outside the classroom, Salim learnt piano through a correspondence course, while Sulaiman studied tabla with various mentors including Taufiq Qureshi, son of Ustad Allarakha and brother to tabla prodigy Ustad Zakir Hussain. The pair started their career composing “jingles” – short pieces for television advertisements: “Selling a product in 30 seconds is an art in itself, and we probably did a few hundred of these commercials.” In the mid-1990s, they moved into pop music, producing albums for Voodoo Rapper, Style Bhai, Shweta Shetty, Jasmine Bharucha and other musicians. Their big break came one day when they were working in the same studio building as Bollywood director Sanjay Gupta, who was editing his 1997 film Hameshaa next door. Gupta overheard their work and approached them. “He came up to us and said he wanted us to do a piece for his film…within the next few days we recorded the theme of Hameshaa,” the brothers recall. Since then, Salim and Sulaiman have built a solid career in Bollywood, where they regularly compose songs and background music for high-profile films. Together, the brothers say they have worked on approximately 65 movies, including Bhoot (2003), Ab Tak Chhappan (2004), Mujhse Shaadi Karogi (2004), Dhoom (2004), Neal ‘N' Nikki (2005), Kaal (2005), Krrish (2006), Aaja Nachle (2007), Fashion (2008) and Rab Ne Bana Di Jodi (2008). Their work has earned them industry recognition and garnered numerous accolades including Filmfare, Zee Cine, Screen and IIFA awards. The brothers also made their mark during Mawlana Hazar Imam's Golden Jubilee year. They composed and produced some of the music used in the videos commemorating Hazar Imam's Golden Jubilee visits around the world. In 2009, their career took a brief reprieve from Bollywood for the excitement of Hollywood. Earlier this year, the brothers were nominated for a Daytime Emmy Award for their contribution to Wonder Pets!, an animated children's show that airs on the Nickelodeon television network. The nomination was a big deal – the Emmys are to TV what the Academy Awards are to film and the Grammy Awards are to music. Wonder Pets! is about a group of household pets who travel around the world to save animals in trouble. Salim and Sulaiman were recruited to score one episode featuring a Bengal tiger. “As kids we watched a lot of Disney animation, so working on something like this was a delight,” they say. Their initial discussions with the show's producers took place over a video conference. They worked on the project remotely, transferring audio files back and forth over the Internet. It was their first time working with an American production, although they had previously contributed to a German film, Gate to Heaven (2003), and The Merchants of Bollywood, an Australian musical that has been touring the world. Although Wonder Pets! did not win the 2009 Daytime Emmy, Salim and Sulaiman say they would like to score more Hollywood projects in the future – if their busy schedule allows it. So far this year, they say they have composed music for Teen Patti, Wanted, Ajab Prem Ki Ghazab Kahani, Love Aaj Kal, and Kites. They are currently working on a number of other films including Pyaar Impossible, Kurbaan, Rocket Singh: Salesman of the Year, and London Dreams.